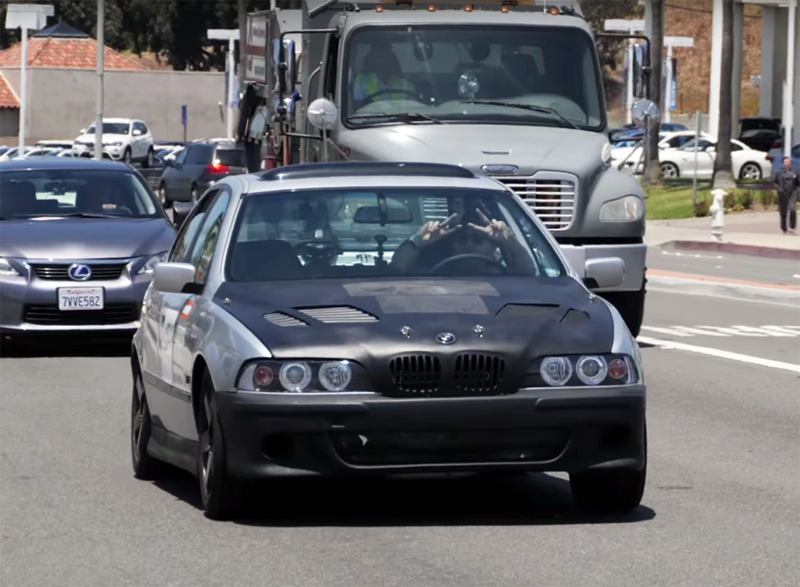 Made from the corpse of a 1997 BMW 528i salvaged from a junkyard and other recycled parts, this DIY electric car beats the Tesla Model S P100D’s mile range at a tiny fraction of the cost. The Tesla boasts a range of 335 miles per charge, while the ‘Phoenix’ by Eric Lundgren gets 380 miles. Lundgren and his team built the Phoenix in 35 days for just $13,000, and hopes the attention his trash car is getting will encourage carmakers with more cash to do more material recycling. 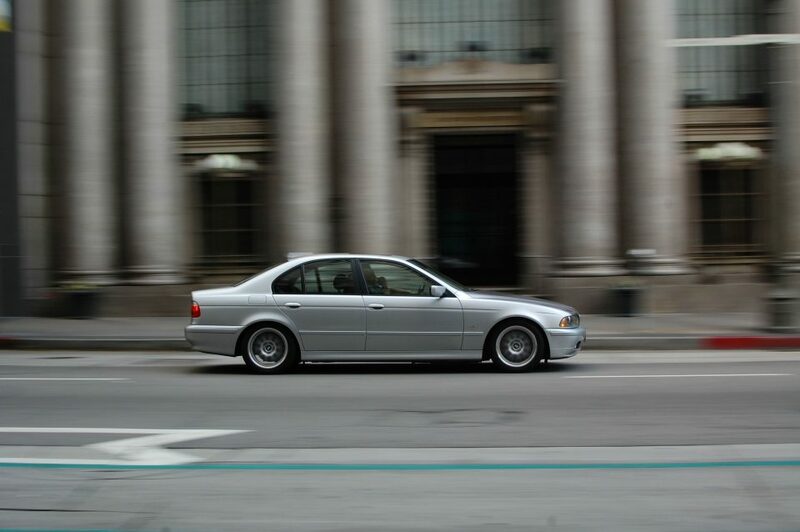 Founder and CEO of information technology organization ITAP, Lundgren bought the 20-year-old E39 generation BMW 528i and removed most of the interior – including the rear seats, dashboard, center console and trim – in order to save weight (yes, that’s the catch.) 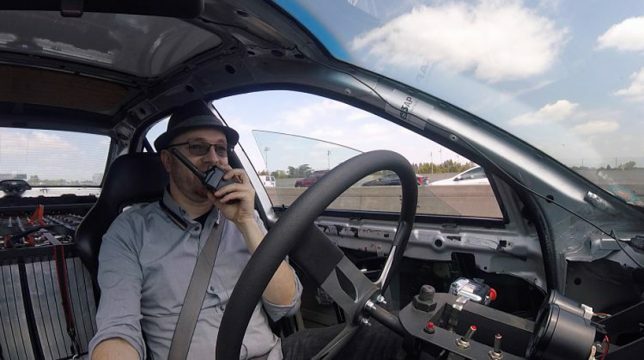 He added a 130kWh battery pack that uses cells from EV and laptop batteries to power the car, which takes up most of the space where the backseat would normally be. To test his creation, Lundgren pitted it against three popular electric vehicles: the Tesla, a Chevy Bolt and a Nissan Leaf. All four competed in a trip across Southern California to see which one would last the longest. The Leaf ran out of juice first after 81 miles, followed by the Model S at 238 miles. The Bolt managed to squeak out 271. The BMW never ran out of range at all – instead, it blew a fuse after 340 miles with 32 percent of its charge left on its battery pack. In a second test, the Phoenix ran directly against the Tesla, getting 382 miles to the 100D’s 315. Clearly, the fact that so much of its weight has been removed while the Tesla is loaded down with luxury options makes a difference in the result, but so should the fact that Tesla is working with top-quality, brand-new parts. For Lundgren, that’s not really the point.